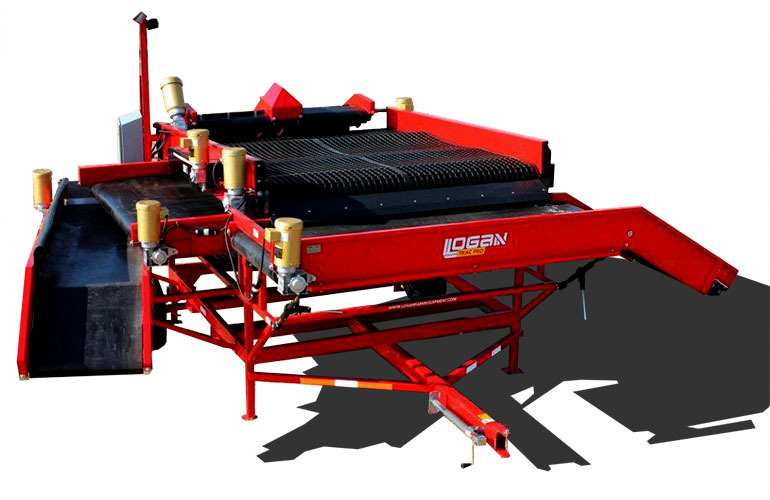 The Logan Web Pro Sizer offers a economical means to size roundish potatoes or onions very accurately and with high volume A soft rubber web screen is driven in a circular fashion. Smaller produce falls through the holes and onto the underneath cross conveyor. 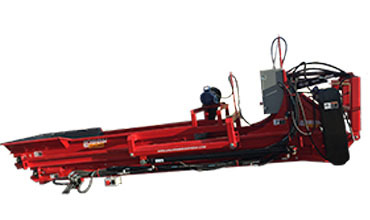 Each end of the sizing belt is independently driven and utilizes scrapers for removing field dirt. 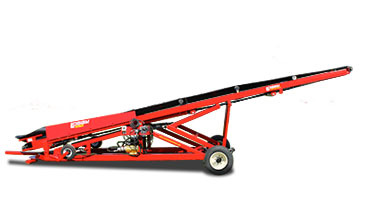 The undersize cross conveyor is wide allowing for small drops from sizing belt to cross conveyor. Depending on the size of the machine one or two independently driven shaker rollers provide lift and agitation to the sizing belt for re-sizing and increased accuracy. A push out roller towards the end the machine helps gently remove stuck potatoes in the individual sizing holes in the belt. 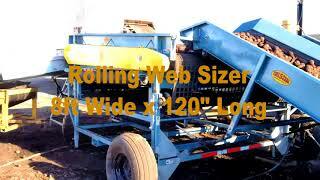 Idler rollers can be easily adjusted for screen tension and quick screen changing. 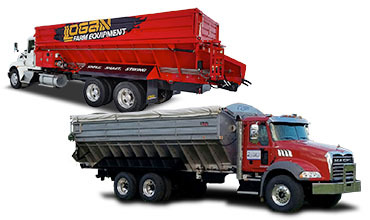 A heavy duty chassis with tow bar is provided for portability. 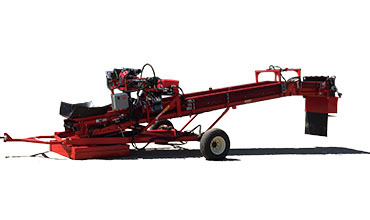 This machine has options for a mounted belted elevating feed conveyor and numerous discharge conveyors. 96" wide x 120" long sizing area. 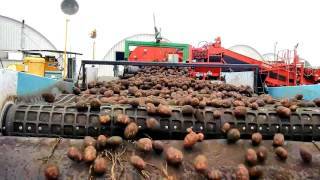 Sizing belts are easy on potatoes, holes don't stretch and maintain excellent accuracy. Dual driven head and tail rollers with belt scrapers for removing field debris.